We just added a new feature to your WP Accelerated hosting portal called Social Sign-In! Social Sign-In is a feature that allows you to connect popular services for faster sign-in to WP Accelerated account. 2.) Login with your normal WP Accelerated login one last time. 3.) Click on the service, Google or Facebook you would like to use to login with, then follow the instructions in the pop up box to finish linking your account. 4.) Finished! 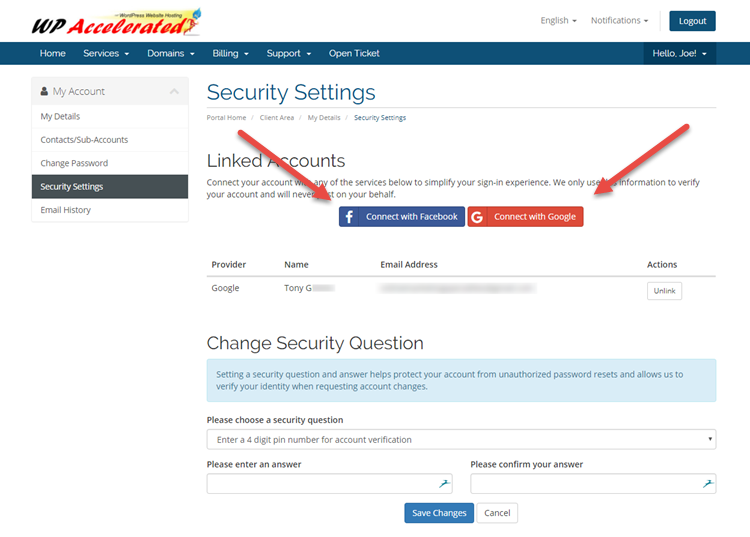 Now you can login with the social login from now on!